Northrop & Johnson have been on the phone to tell us that they have sold the 44.2m superyacht JL Seagull, a joint CA with Fraser Yachts. Built by Benetti in 2002, JL Seagull was completely refitted in 2011 and accommodates 10 guests in a master suite, two double VIP suites, and two twin cabins. Twin Caterpillar 3508B engines give her a range of 4,000 nautical miles at 12 knots. She boasts Lloyd's classification and MCA compliance, and she features a central elevator to all decks and a new paint job. Mike Orchard of Burgess Yachts brought the buyer, while Wes Sanford and Kevin Merrigan of Northrop & Johnson represented the seller. 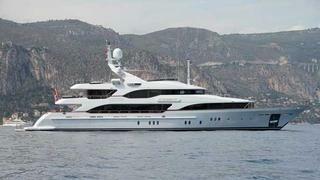 Lying in Nice, JL Seagull was asking €9,900,000.